Gamer Darkpaper Blogger Template is great magazine blogger template with games style. This template could be the right choice because in addition to having many features, this template also has a great view with red and black for basic background. Some features of this template: dark background, 3 columns and right sidebar, custom menu, the slider menu is very attrative and layout on the top also looks professional. This template is suitable for blogs about online games. 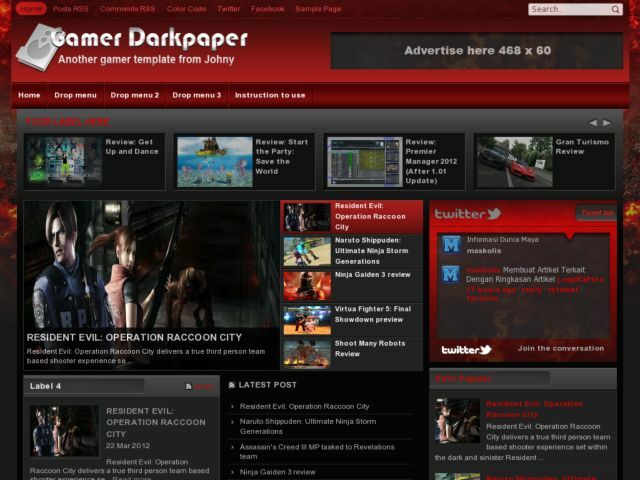 Download Gamer Darkpaper Blogger Template at Blogger Templates Gallery.